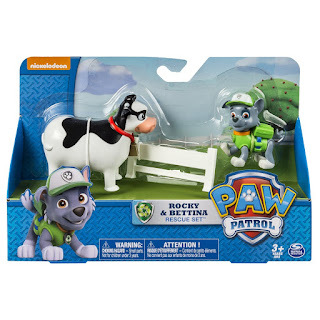 - Rocky is ready for a ruff-ruff rescue! 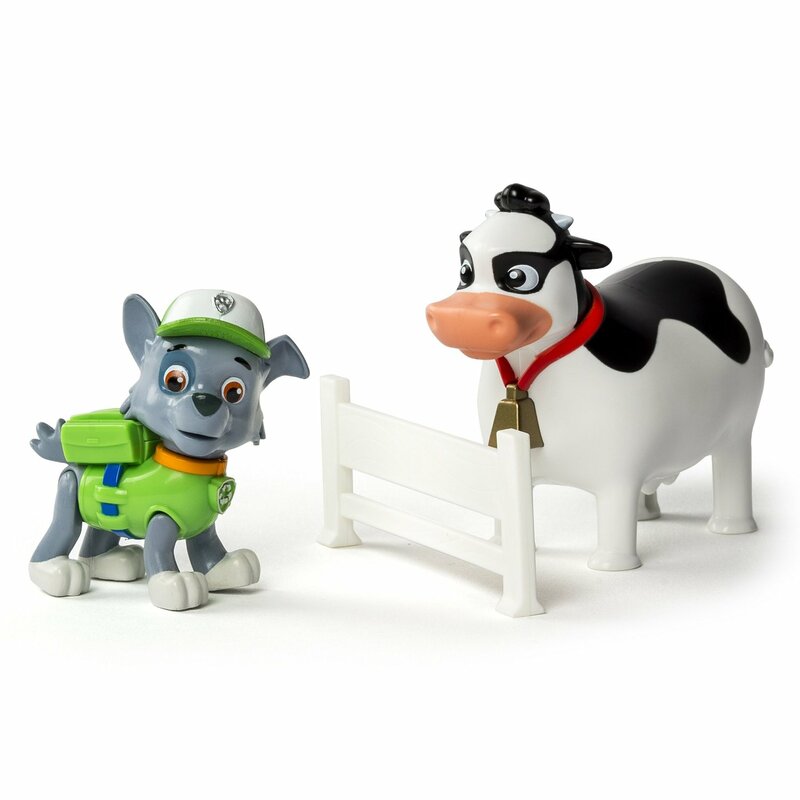 Bettina the Cow needs a helping hand. 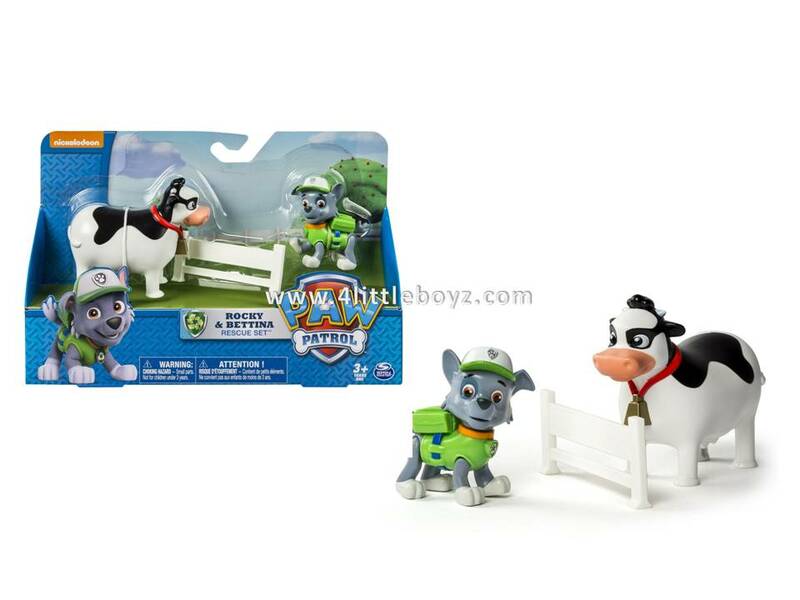 - Use Rocky's real moving legs to help him jump over the included fence and keep Bettina safe. - Discover even more Adventure Bay rescue action with the Rubble, Skye and Chase Rescue Sets. 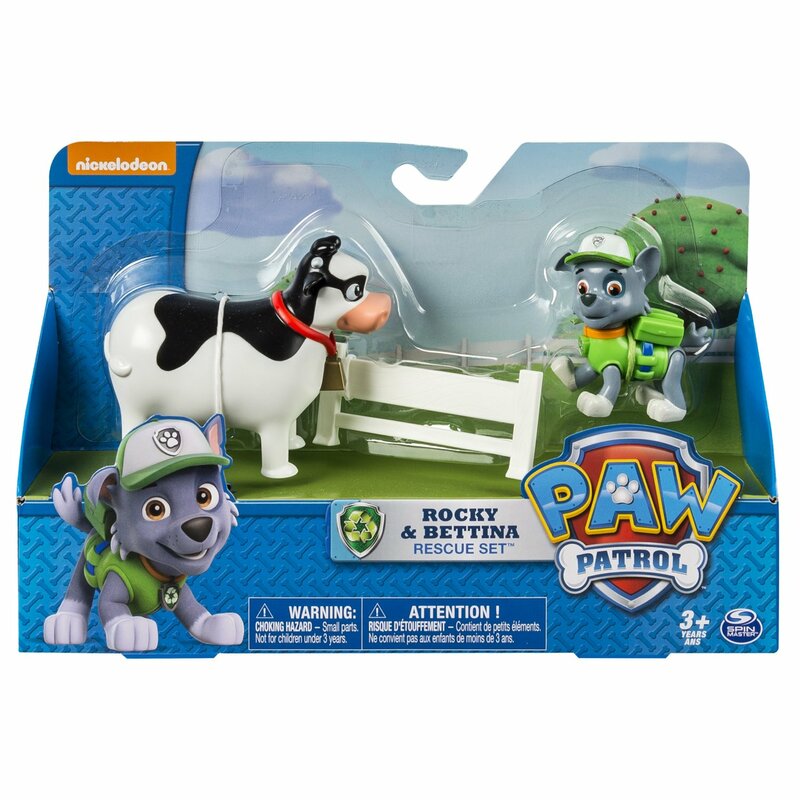 - The Rocky and Bettina Rescue Set is for kids ages 3+. No batteries required.